For the first time together on Blu-ray, experience the complete Avatar saga with Aang and Korra. 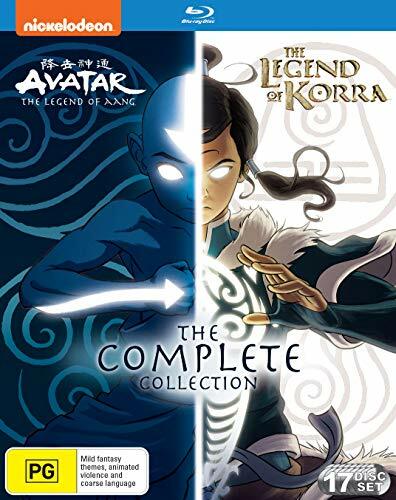 From the discovery of Avatar Aang in the frozen iceberg in Avatar: The Last Airbender to Korra's heroic journey to set things right in Republic City through The Legend of Korra, relive all the epic air, earth, water and firebending in this ultimate Avatar collection. Original Uncut Animatic "The Avatar State"
The Women of "Avatar: The Last Airbender (The Legend of Aang)"
Plus Featurettes, Animatics, Shorts, and More!